Street food is synonymous with Vietnam. Some of the most delicious, intriguing and simplest of meals are served at street side stalls, many of which are now featured on sophisticated city restaurant menus. Vietnamese cuisine has been influenced by China, India, France and other neighboring countries. The focus is on color, texture, aroma, flavor and harmony which stimulate the senses, creating a cuisine consistently ranked in the world’s top 10. In particular, a melting pot of cultures has made Hoi An an historically colorful town with a defining cuisine – colorfully vibrant and deliciously flavorful. Red Bean Hoi An’s rustic street food buffet features around 40 much loved and less known dishes iconic to Hoi An and Quang Nam province as well as favorites from around Vietnam. Displayed in bamboo woven baskets lined with banana leaves in a rustically designed environment, each dish is freshly cooked and traditionally presented in a provincial way. 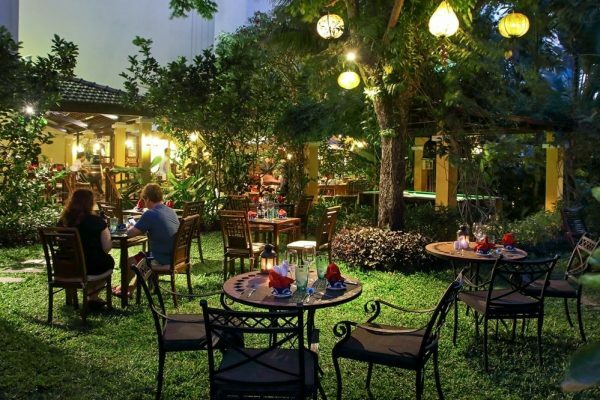 From a variety of starters such as Hoi An spring rolls, fresh vegetable dishes from Tra Que organic village, soups featuring local clams to clay pot dishes, live cooking stations and delicious Hoi An local sweet cakes. 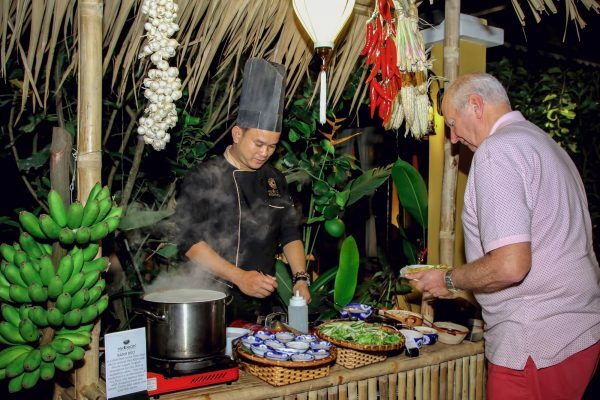 The result is a balanced traditional buffet menu telling the story of Hoi An’s cuisine and society through food. Click here for the detailed menu.